Pre Delay is the first rhythmic element of reverb that you have the chance to adjust in your projects and it can make all the difference. Pre-delay is probably the most misunderstood yet under-utilized but overlooked and misused parameter of reverb in general. It’s really too bad because people are really missing out on a very simple way to make everything in their music sound more natural in the groove. 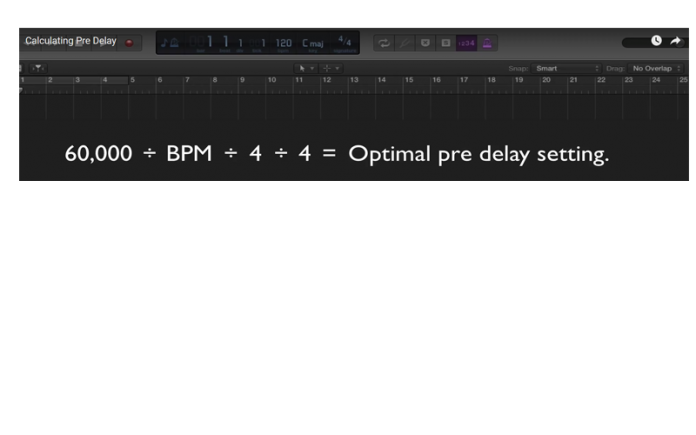 This quick little math formula will help you calculate the perfect amount of pre delay every time, regardless of the genre of music you produce! Most pre delay5 is measured in milliseconds, as it is a measurement of the amount of time between the original dry signal of a sound and the first audible onset of the reverberation applied. The human ear is a fine tuned instrument and it is constantly relaying information to the brain, where many, many different calculations are taking place to help us interpret, perceive and engage with the the world around us. A big part of music feeling natural is having every part of the arrangement and environment being in sync with the other elements surrounding it. The slightest deviations from this sync can be noticed by even untrained ears. So something as small as pre delay6 timing can make all the difference. 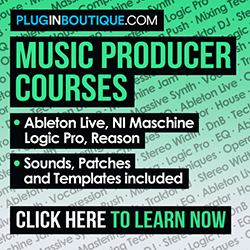 Of course, not all sounds are created equal and there are reasons you may want to apply a seemingly random and large amount of pre delay7 to a sound in your music. And there may be times when the right choice is to apply no pre delay8 at all. 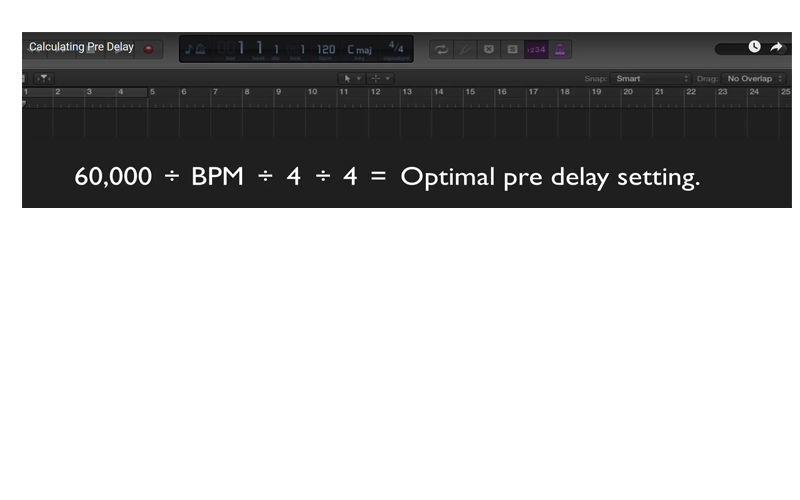 But generally speaking, this is a quick and easy way to calculate pre delay9 that will be in sync with your project at large. It’s just one more pro tip to help you get that truly professional sound so many people strive for in their music.